The first thing we encourage you to do is deposit or credit at least 20% of every paycheck into your savings account and 3% into your retirement, IRA, or 401k account. People across the globe find it extremely difficult to manage their finances and money related matters. Not everyone is privileged enough to spend their lives without having to worry about financial stress and traumas in life. According to a study, a whopping 78% of people around the globe live their lives on a monthly paycheck to paycheck basis. This indicates that people have to limit their spending and save more in order to survive hard times. However, spending patterns of people, especially Americans, have changed significantly over the past decade or so due to numerous reasons. The top reasons include increased exposure and impact of social media on our lives. No matter how much one may argue, the financial equation of managing finances is certainly not in favor of most American households. They have been fighting against all the odds to manage their monthly paychecks but, still, haven’t succeeded to come up with a clear-cut strategy or game plan which will ensure ideal management and budgeting of every paycheck. There are a myriad of reasons why most Americans have been stuck miserably in severe financial crises and debts. Here is the situation: once you get paid, your paycheck has to go several places at once. 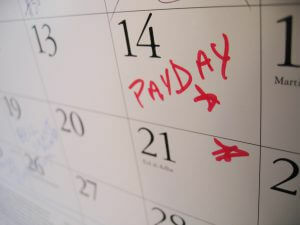 There are certain unavoidable expenses like rent, groceries, debt repayment, and utility bills which needs to be paid. They eat up a significant chunk of your every paycheck. The remaining, perhaps, goes into buying non-essentials. This paycheck schedule continues to go on-and-on, restricting you to save money for hard times, especially your life in retirement. Undoubtedly, saving a portion of money from your every paycheck is no easy feat. When you have so many financial situations and concerns to address, it seems nearly impossible to save money for meeting financial emergencies. So, you need to set priorities, make a realistic judgment and devise sound game plans to save money in your working years or else you may, unfortunately, find yourself in some miserable old predicament once you retire from the office. Saving money may be hard for individuals or families, but it’s certainly not an impossible task. There are ways in which it can be done. You may be good at your job and in earning money through various ways and means, but that doesn’t mean you have expertise in handling and managing your finances well. For financial help in budgeting, retirement plans, debts, savings, and investment options, it is ideal to acquire the services of a financial planner as they will have the next-level knowledge, skills, expertise, and experience in handling technical financial matters. Also, they may help or guide you in what to do with your every paycheck and how much you should contribute to your retirement savings account. If you expect to have a dreamy retirement one day, you need to make contributions to your 401k, IRA, or both. According to financial experts, those who start contributing to their retirement account in their 30’s have a more secure and stable future since they can worry less about financial fears or distresses. No matter how hard you may find it is to save money on a monthly basis, you should regularly contribute to your 401k or IRA account. It doesn’t matter whether your employers offer you a retirement plan. If they don’t, you can set up your own retirement account and start contributing to it because it will be yours forever. In order to accumulate more wealth for your post-retirement life, you should start your retirement account as early as your 20’s. Contributing a tiny portion of your every paycheck, let’s say 3% of your income, doesn’t seem to be a burden on your shoulders at such a young age. If others can do it, you can too! It is far better to hire professional financial planners instead of managing money-related things yourself because they have expertise in dealing with such long-term retirement plans. According to a study, a person must have an equivalent of 9 paychecks saved in order to cope with financial emergencies successfully. Financial pressures lead to a great deal of stress, emotional and mental trauma, especially to those who lose their jobs, address financial or medical emergencies, and mismanage their debt repayment schedules… No matter the causes, the repercussions are often too huge to be handled alone. Experts recommend that you must save for your rainy days because financial problems and dilemmas do not come announced. Per the 50/30/20 rule, you must at least save 20% of your income from every paycheck and credit the proportional amount into your savings account. They also offer interest-growing potential which accumulates to become a hefty amount when you near your retirement age. Saving money for hard times is no joke, especially in today’s era. Cutting back on your money on almost every paycheck requires motivation and loads of temperament and spirit. It is better to hire the services of professional financial planners for effective management of retirement and saving plans as they have deep-rooted knowledge, skills, expertise, and experience in handling and managing technical money-related tasks. Create a Budget that Keeps you from Going Broke What is PCI Information Security and Why is it Important?